A Phantasmagoria of Fear, Curiosity and Utter Madness. A pale sickly glow is cast on Lewis Carroll’s heroine as she seeks shelter from her personal problems in her own mind. 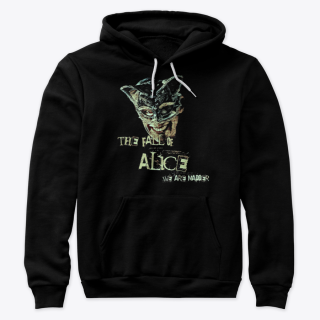 Abandoning the safety of her home, Alice navigates through a barren Wonderland facing harder trials and decisions the longer she goes. She is pushed in further until she’s standing on the edge. The minimalist set, choice of music and sequence of grim, unsettling scenes set this Alice apart from other adaptations. “It doesn’t make sense to put out another production line Alice in Wonderland” As already showcased in Jack Mormon, Cloud remains true to his style “We’re all born with a morbid curiosity, the mind is easily corrupted”. The team needed to think outside the box to ensure that this production would be extra special, while still capturing the essence of the original. "Fernab vom lustig-bunten Treiben im kindgerechten Wunderland stellt sich diese Bearbeitung als düster-poetisches Suspense- und Mystery-Stück mit Augenzwinkern dar." "Spannend und packend inszeniert überrascht diese Aufführung allemal. Minimalistisch geht es auf der Bühne zu und gerade darum spielt sich umso mehr in den Köpfen ab"
"Eine Mischung aus Merkwürdigkeiten und Wahnsinn erwartet Sie, gepaart mit gewitzten Versen und einer Prise Komik. Erlebt eine Teaparty der besonderen Art und begebt euch in das Wunderland des Grauens!" 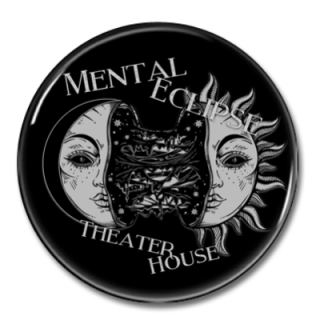 "See Alice like never before this Friday as the Mental Eclipse Theatre House stages The Fall of Alice once again. 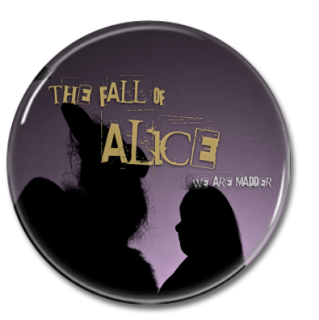 In this production, you’ll follow Alice as she heads to the very mad edge of Wonderland."